With the GDC Focus On: Game Advertising Summit coming to San Francisco, CA on Friday, June 9th (organized by the CMP Game Group, as is this website), Gamasutra is running a series of exclusive Q&As with the heads of the major in-game advertising companies in the run-up to the summit, to get their thoughts on the past, present and future of in-game ads. GS: Can you give us a little background on Double Fusion? How it was started, why in-game advertising, etc. JE: Double Fusion was started in 2004 to develop a powerful in-game content update system that would allow game developers to dynamically change elements of their game. Early on, we recognized that the most powerful use of this tool for game publishers was to serve a wide variety of advertising content into games, and we augmented our in-game tools with powerful back-end systems for advertising campaign management and associated approval and reporting functions. 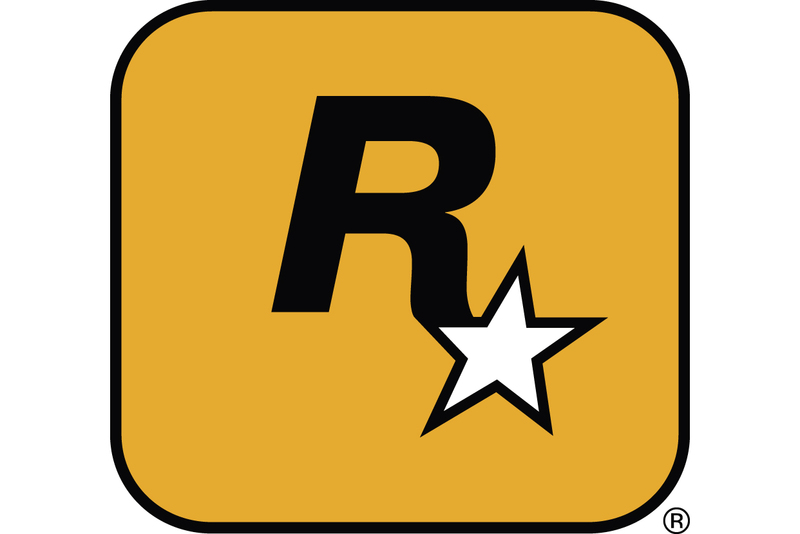 The company first served dynamic advertising into games in 2005. The company is headquartered in San Francisco, with R&D based out of Jerusalem, and has offices and affiliates in London, New York, Los Angeles, and Shanghai. GS: What major milestones/deals have you signed in recent months? JE: Double Fusion�s value proposition to publishers � providing them with a full end-to-end solution combining the most powerful technology, creative consulting, and a worldwide sales force � has attracted more publisher partnerships than any other independent player in the market. Our partners include Midway, THQ, Joyzone (a major online game publisher in China), Trilogy Studios, Rebellion Studios, Team 6, and a number of other players across the PC, console and online game segments. Between now and the end of June, you�ll see a large number of additional Double Fusion partner announcements, including both publishers and other strategic partners. GS: What competitive advantages do you leverage over other companies in the in-game advertising marketspace? What sets you apart? JE: Double Fusion serves both the game publisher and advertising communities, and we offer different advantages to each group. For publishers, we provide the best and most complete technology, creative and sales solution for adding advertising to their games. The Double Fusion AdEngine can serve rich media formats such as 3D advertising objects, Flash video with sound, and other types of higher-value ad units that deliver more revenues per ad placement. Making more money in the same amount of space is just part of the advantage. Our tools have proven to be much easier to integrate into games than those of our competitors, and we provide the developer with an incredible amount of control over system resources used by the advertising system, to ensure that we never interfere with the gaming experience. Publishers also are attracted to Double Fusion�s commitment to serving the entire range of revenue possibilities in our game � we serve and sell dynamic ad campaigns for them but also for many partners help them sell larger integrated product placement deals, which can utilize Double Fusion technology for tracking and creative updates. Double Fusion�s sales team has more experience and depth, across the world�s major markets, than any other independent player, which of course is key to turning superior technology and creativity into revenue results. For advertisers, Double Fusion delivers the widest range of programs and options. Every marketing campaign is different, and some advertisers� goals are best realized through single deep campaigns that tie into a single title, and others benefit from a network approach across multiple titles. Our unique 3D advertising allows advertisers to benefit from a level of interaction that�s simply not possible with signs on walls, and research from Nielsen and others has shown the superior recall and purchase preference results 3D programs deliver. Finally, we relish the challenge of building programs that leverage games but go well beyond, combining mobile marketing and event marketing programs for our largest customers. GS: How much advertising is too much? How do you draw that line and ensure that consumers are comfortable with the way ads are served to them? JE: The answer to this question is entirely dependent on the game. For many games, any amount of advertising would interfere with the suspension of disbelief and the game world. For other games, not having ads would be equally strange. Our creative consulting teams work with each publisher, well ahead of time, to determine the appropriate mix of advertising � not just how many ads but what formats of ads. Most of our major partners utilize focus group testing before deploying games, and review of the ad placements is becoming part of that process, to ensure that the gamer stays fully engaged with the game � that engagement is a key part of the value in-game advertising offers marketers, so we�re incredibly careful about protecting it. GS: What are some of the hurdles that you expect in-game advertising to face in the near future? JE: There are steps (not hurdles) which, when taken, will hasten the already fast pace of market growth. The establishment of common measurement standards, or at least baseline measurement standards, is a key step many of us are working on. The market potential for in-game advertising is huge � anyone focused on media usage among consumers knows games are now where you can best catch the eyes of the most important advertising demographics. As more games open up for advertising, though, as fast as the revenue growth is, the supply of advertising inventory may grow faster � some of the online games generate billions of impressions in a month. This creates downward pressure on pricing for the basic 2D graphic advertising formats. Double Fusion�s rich media capabilities and targeting and response capabilities are helping increase the value of the in-game advertising placements, which will be imperative for most of the major PC and video game players. GS: What do you think are areas of games that are, as yet, untapped by in-game advertising, if any? JE: Most game publishers are well aware of the market and talking to us about the revenue potential for their games. The games range from AAA retail titles to downloadable casual titles to the advanced casual titles coming now from Asia and hitting the US shores. I�m not sure we�ll see much if any advertising in the types of games that are set in worlds where advertising just doesn�t exist, or are possess plagues, demons, cop-killing, or other game elements which may be fun to play but aren�t necessarily the associations sought after by most brands. GS: How does Microsoft�s acquisition of Massive Inc. affect you? JE: The Massive acquisition justified what we�ve been saying all along to publishers � that the industry requires more than just one player. It seems fairly axiomatic that Massive will be unlikely to be able to support certain other platforms. Since the announcement, the level and pace of publisher partnerships has stepped up a significant notch. Publishers view the world through their titles, not platforms, and seek players that can operate across all platforms, a position I�d argue we�re much better poised to deliver over time than any other company. From a valuation standpoint, the acquisition does offer another confirmation of the present and future value of leadership positions in the space, and, in that way, it has been a considerable advantage to Double Fusion. GS: Which titles do you expect to have the largest reach over the next 12 months, in terms of major deals you've signed? JE: We have a wide array of AAA titles in our portfolio, with a million or more units shipping into the market or, in the case of online games, with one million or more active users. Midway�s Stranglehold was one of the top games at E3 in terms of buzz, and we expect it to blow away its projections. At least one of our online titles already reaches more than 1 million users a month, and several more are expected to hit those numbers. GS: How do you see in-game advertising shaking out in terms of consolidation or expansion? Will there be more companies in the market? Less? Or the same? JE: Critical mass is essential to being in the in-game ad business, and some of the claimants to the market are pretty far behind here�.I expect we�ll see some consolidation over the next year. GS: What's the biggest misconception about in-game ads? One misperception is that it is difficult to get ads working inside of a game. Our publishers have found it to be incredibly easy, even with a larger number of ad placements of various advertising types. Another misperception is that the technology itself is not important, and that most providers are the same. Of course, the players with lesser technology promulgate this notion on the marketplace. It is true that almost anyone in the in-game advertising business can display 2D graphics into games. But, as we�ll see soon, 2D graphics could rapidly become a commodity given the number of hours of gameplay being ad-enabled. In order to achieve the full advertising revenue potential of a game, the advertising will have to offer capabilities not available in any other medium. And, for those capabilities, superior technology is imperative. There�s no substitute for a world-class sales force, either, but being able to offer rich advertising experiences will be key in 2007 and beyond, and combining the two is where Double Fusion shines.